From goodreads: Through years of war and devastation, Tatiana and Alexander suffered the worst the twentieth century had to offer. Miraculously reunited in America, they now have a beautiful son, Anthony, the gift of a love strong enough to survive the most terrible upheavals. Though they are still young, the ordeals they endured have changed them–and after living apart in a world laid waste, they must now find a way to live together in postwar America. Sometimes a series comes along and you aren’t sure what to expect but then before you know it, your world has been rocked off its axis and that’s me at this very moment. I’ve been reading this series for a little over two weeks and I love Shura and Tatia as if they were part of my family. 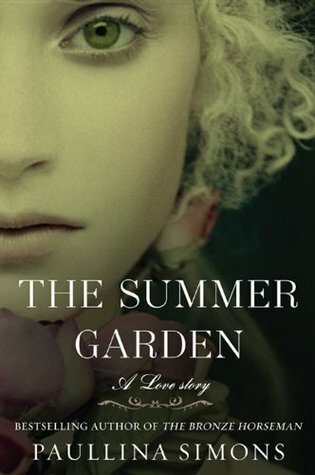 The Summer Garden is the perfect book in every absolute way. Perfect but tough to read because they struggled as a couple and I felt their anger, their insecurity, I felt their unspoken words, I felt their love for each other…I. FELT. IT. ALL. The decisions they made as individuals and as a couple would haunt them throughout their life and at times, it left them broken as it did me. Am I being dramatic? Maybe but I know I’m not alone in feeling this way. Book one was pure innocence and the way the fell in love with each other was completely beautiful and breathtaking. Book two was about survival and no matter how torn apart they were, their unyielding love continued to grow. The Summer Garden is about the loss of innocence and that little fact broke my heart because they became different people but their core was still very much the same. It was a journey of healing and the ability to trust each other despite all the skeletons lurking in their proverbial closets. This was a book about life, plain and simple. Alexander was not the same man and we see that loss of who he once was towards the tail end of book two; I was worried that I wouldn’t see the Shura I fell in love with but sure enough he starts to heal. Frankly, there were a few times when I wanted to step inside this book and shake Alexander and Tatiana because some of their decisions were jaw-dropping moments for me but that’s what made this book so exceptional, it was completely “real”. Paullina Simons has written a beautiful and EPIC conclusion to The Bronze Horseman and you will feel emotionally and mentally stressed-out but at the same time, incredibly satisfied. She weaves the past and present in way that reminds the readers, Alexander and Tatiana are still very much the same people who fell in love in Leningrad. The love that binds them together is a force to be reckoned with and that tie cannot be broken despite the challenges they faced as a couple. The flashback sequences were some of my favorite moments and at times I felt as though I was meeting Alexander for the very first time…thank goodness Alexander crossed the street for Tatiana!!! I feel a bit lost right now and I’m not sure that I can read anything else at the moment because my mind keeps going back to Shura and Tatia. My heart kept beating faster and faster with every word I read throughout this entire series. While I didn’t want this series to end, the only comfort I have is knowing that I can re-read all three books at any moment. This is by far an EPIC trilogy and this is romance at its finest. Don’t wait a moment longer to invest in these books and while they’re pricey…you won’t regret it! Awesome review and I’m so glad you enjoyed it! I felt the same way when reading. It was such an emotional journey, very raw and passionate. I don’t think I’ve come across another series like this. Thank you my friend!!! I love this series unlike any other. Very few series grab my attention and this moved me beyond words. It’s exceptional and I can’t wait to see the movie but I’m prepared that it won’t meet my expectations!